choose to use WordPress for your business website, you will be in exclusive company with some of the top businesses in the world, such as Mashable, the New York Times, eBay, and CNN. The WordPress platform offers over 40 different translations, which makes it easy for you to reach your target audience. In the end, a WordPress website translates into success for your business. 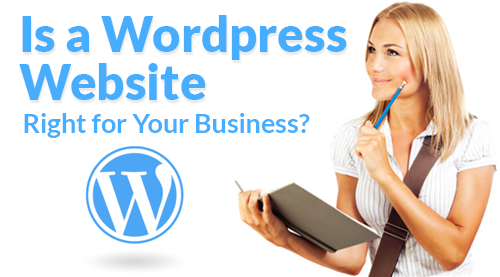 Continue reading to learn why a WordPress website is ideal for your business. Creating a WordPress website means it will be text-based, which makes it ideal for search engine optimization (SEO). These web pages are simple for search engine crawlers to navigate and index. This means your guests and visitors will be able to be quickly directed to the information they are searching for by crawlers. In addition, a WordPress site allows you to implement dynamic web design trends, such as responsive web design and richer backgrounds. WordPress sites also feature fast loading times for users and search engines. In the end, every aspect of WordPress sites are great for the users, which is great for search engines and SEO. Learning to edit content, add photos, additional pages, and videos on a WordPress website is said to be easier than using Microsoft Word. This means you will be more likely to post content more frequently, which will be a beacon to search engine crawlers around the web. Over time as you make a commitment to posting on a regular basis, your new pages can be indexed in hours or even minutes, which pays infinite dividends to SEO. Before WordPress websites were prominent, if you wanted to make changes to your website, you would typically have to wait a few days for your designer to "push" the changes through. With a WordPress website, you can quickly make your changes yourself. As a result, your visitors and guests will have access to the latest and most timely information. A WordPress website even allows you to add pages without the need of a designer. 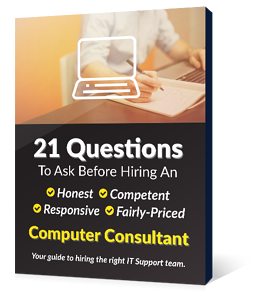 Instead of keeping a staff designer or outsourcing this task, you can allocate these resources in another direction. Simply put, WordPress websites translate into time and cost savings for your business. With WordPress, you can make changes to your website no matter where you are. All you need is Internet access and your smartphone, tablet, or PC. There is no need to alter your firewall settings or add extra software. Whether you're on a business trip in Chicago or on vacation in the Balkans, you can log in and blog about your travels. In addition, WordPress makes social sharing a cinch. Instead of having to go to each social media outlet, login, and make individual posts, WordPress features social media integration. With a few clicks, you can easily integrate your blog posts with social media outlets, such as LinkedIn, Facebook, Twitter, Pinterest, Google+ and more.